Cameron Diaz will Malware Your PC! I'll just stick to imdb. Last week Google rolled out a "search within a website" feature which definitely lives up to the K.I.S.S. standard - type "at website name" at the end of any search and have it look at that website first. Lets google "staples at randomanny" Man do I love that store or what!? The old way of searching a site "site:randomanny.com staples" still yields better results but is harder to remember. Yesterday, Google unleased the most Powerful Call Your Mom tool ever! 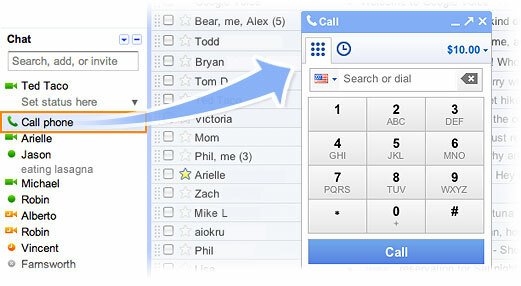 Now you can have Google call you, then call a different number and connect your call. I immediately tried calling my parents in Dominican Republic but its 11 cents a minute, still making calling cards cheaper. It turns out google calling is only free in the US and Canada. I have an Ooma and most people have cell phones with unlimited nationwide calling so I'm not sure why you need Google to handle the call connection for you. The only thing I can think of is if you want someone to call you but don't want to do the actual dialing....?